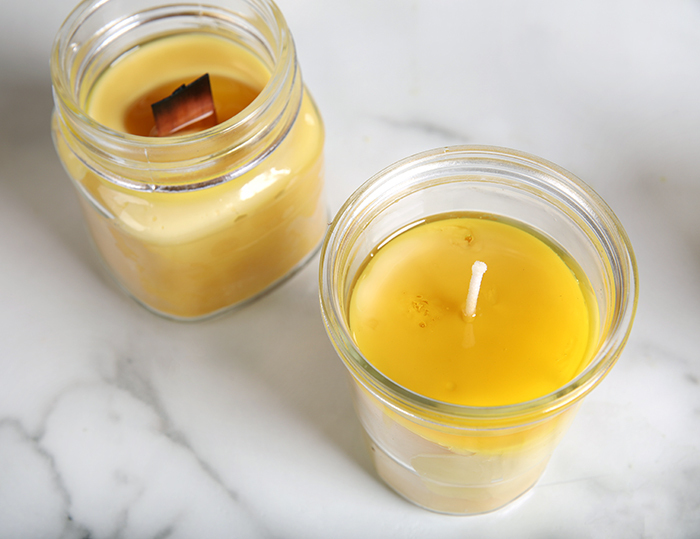 You can use almost any small glass container to make these Beeswax & Honey Candles. 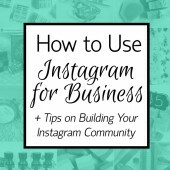 That includes food jars, Mason jars, or empty candle containers. 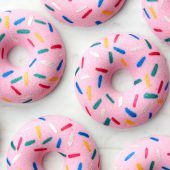 Just save any that look like the perfect size and give them a thorough wash. It’s a great way to reuse glass containers and candles are a perfect gift. 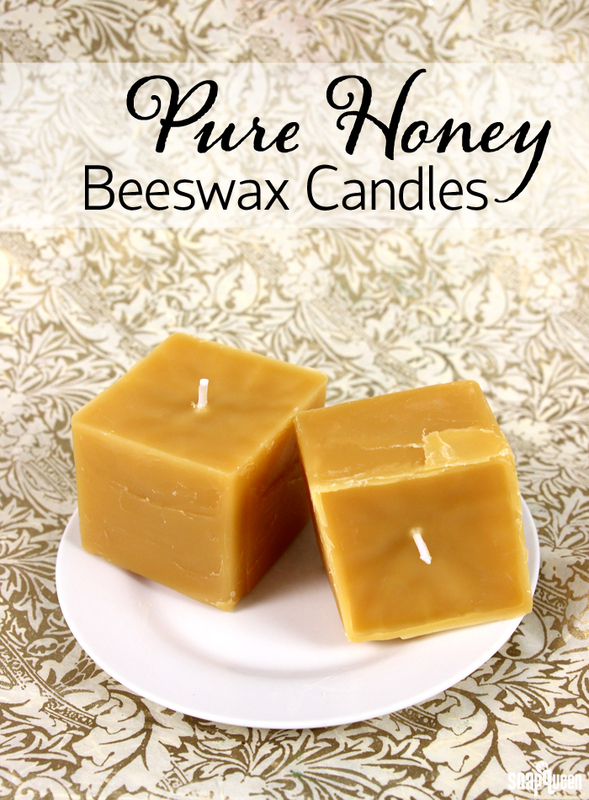 All you need from there is beeswax, wicks, and Pure Honey Fragrance Oil. 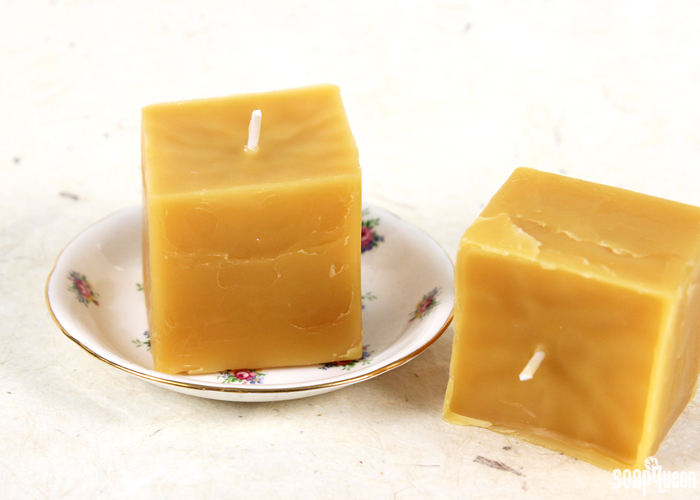 The notes of honey, rose, and peach tea are the perfect complement to the natural smoky smell of beeswax. The wood wicks give the candles a rustic look and a comforting crackling sound as they burn. 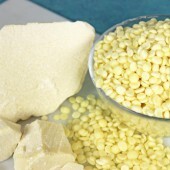 Beeswax is a hard, dense wax that has a high melting point. It needs a large flame to create an even burn pool. 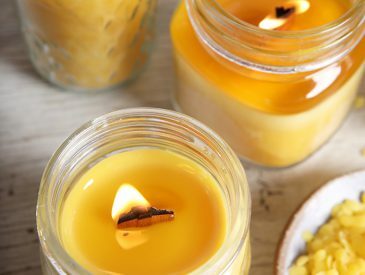 We recommend making these candles in containers that have a diameter of about 3″ or less. 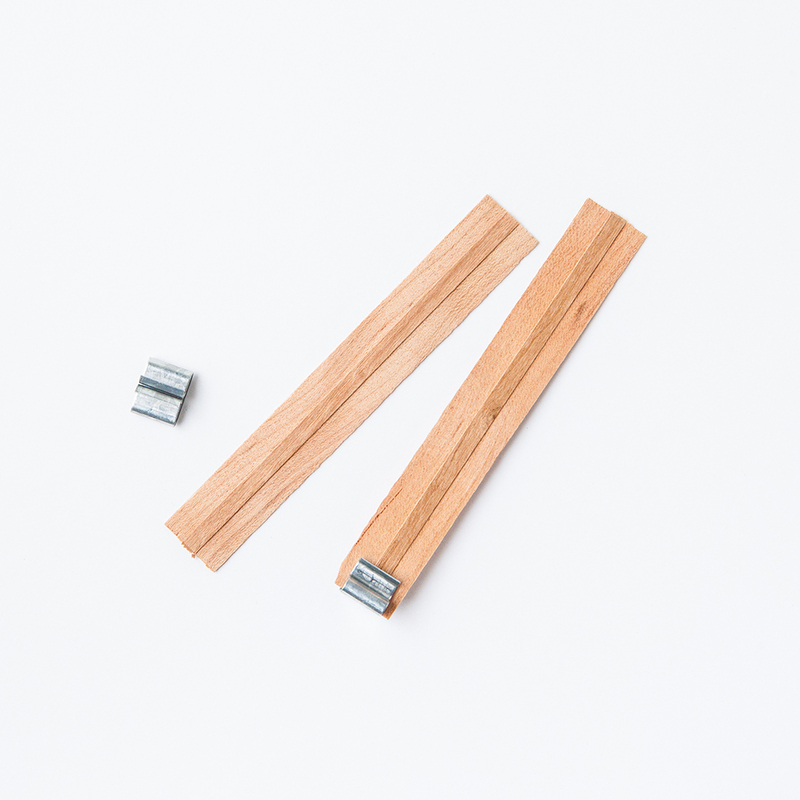 In our tests, the wide wood wicks worked well for containers with a diameter of about 2.5″ and smaller. Other large wicks, like the Wu-250 Brown Cotton Candle Wicks or the Cd-20 Wicks, also work well. 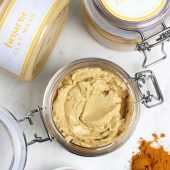 The amount of beeswax and fragrance you need for this project will depend on the size and quantity of your containers. To estimate how much wax you need, put your containers on a scale and fill them with water. 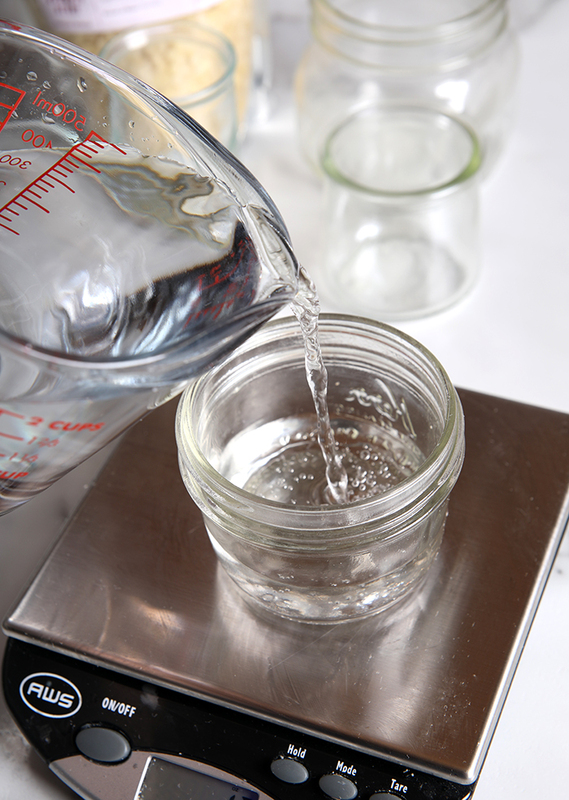 Add up the total weight of the water – that will give you a rough estimate of how much wax to melt. 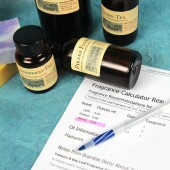 Then, use the Fragrance Calculator to find out how much scent to use. We recommend using the strong recommendation so the scent fills the room. The hardest part of this project is probably the cleanup. 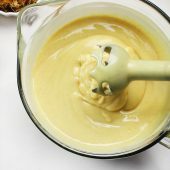 Beeswax can be a pain to clean off bowls, containers, and mixing utensils. If possible, have a bowl and mixing tool that’s just for wax. If that’s not an option, the easiest way to clean bowls is while the wax is still warm – wipe off as much as possible with a paper towel before washing it with very hot water and strong dish soap. 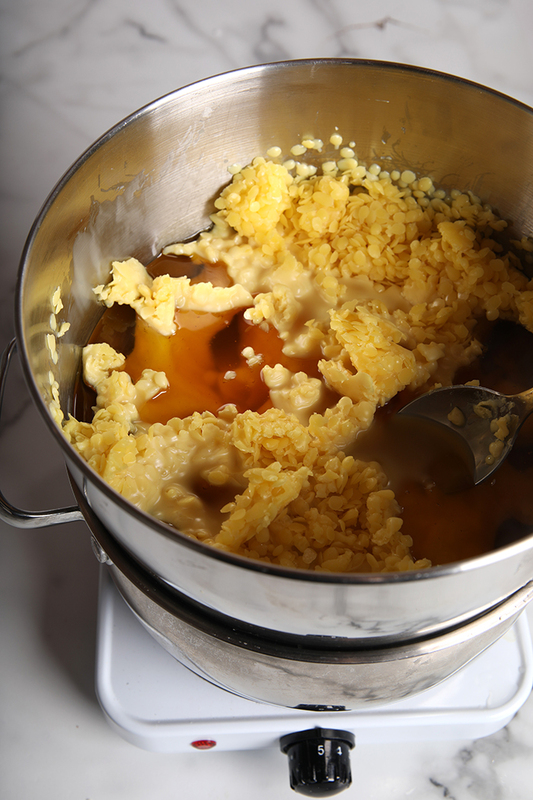 NOTE: You can melt beeswax a few different ways – we recommend using a double boiler. 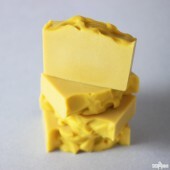 It’s possible to melt it in the microwave, but because beeswax has a high melting point it takes a long time to melt. The container needs to be very heat resistant so it won’t break. PREPARE WICKS: Insert the wood wicks into the metal clip. 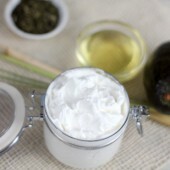 Place the wick into the containers and cut the wick to the length necessary for each container. If you’re using a traditional wick, cut the wicks to the length necessary for each container. ONE: Set up your double boiler and bring the water to boil. Place the smaller container over the water. 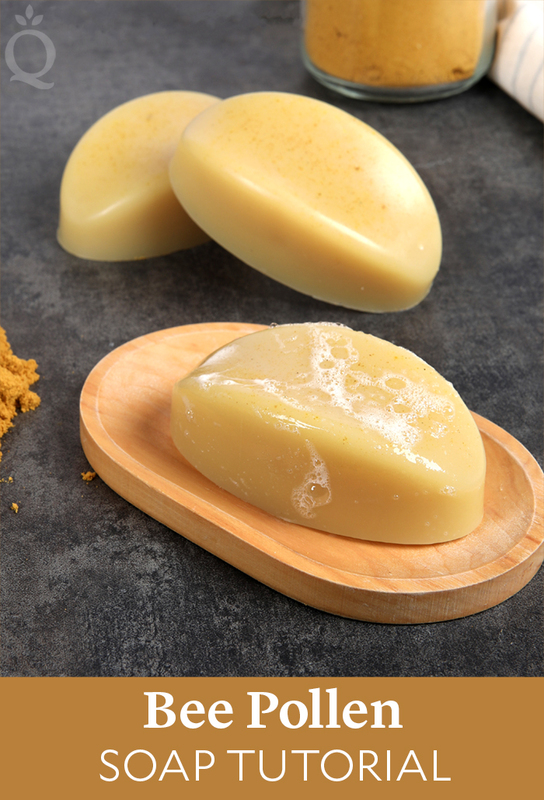 TWO: Weigh how much beeswax you need to fill your containers. To estimate how much wax you need, put your containers on a scale and fill them with water. 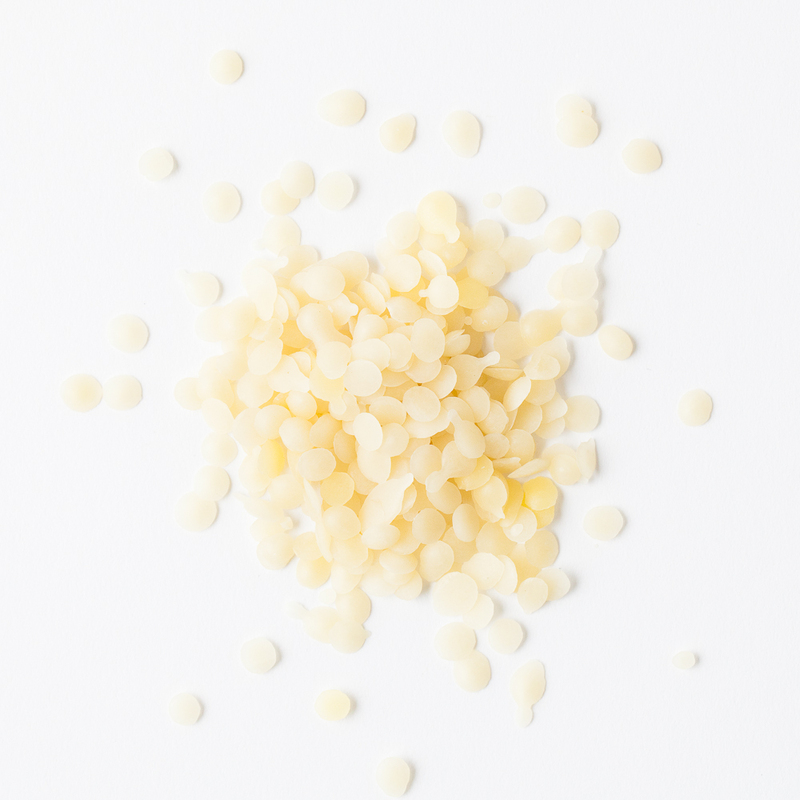 Add up the total weight of the water – that will give you a rough estimate of how much wax to melt. THREE: Melt the wax slowly. Don’t allow it to exceed about 170° F, or it can start to lose its aroma. 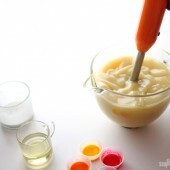 FOUR: Once the wax is completely melted, turn off the double boiler and remove the smaller container of wax. Add the Pure Honey Fragrance Oil and stir in thoroughly. NOTE: Pure Honey Fragrance Oil has a flashpoint of 200° F+. 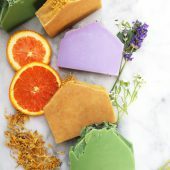 In general, it’s recommended that fragrance is poured into wax that has cooled below the flashpoint of the fragrance oil. 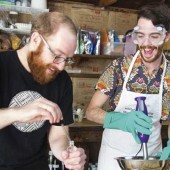 We poured in the fragrance when the wax was around 150° F.
FIVE: Carefully pour the wax into each container. We transferred it to an Easy Pour Mixing and Measuring Container to help. TIP: Pouring the wax into the container with the wick already placed in the candle helps ensure you don’t pour too much and cover the top of the wick. 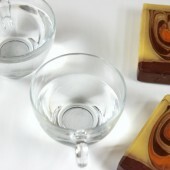 Once the wax is poured, the wick can be moved and centered. SIX: Allow the candles to fully cool and harden. If there are a few air bubbles or imperfections on the top of your candle, use a heat gun to carefully melt the top layer and allow it to cool again. NOTE: We found the wood wicks eventually begin to burn slightly with a lot of high heat from the gun. 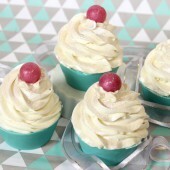 SEVEN: Allow the candles to fully cool and harden. Light the wick and enjoy! Set up your double boiler and bring the water to boil. Place the smaller container over the water. 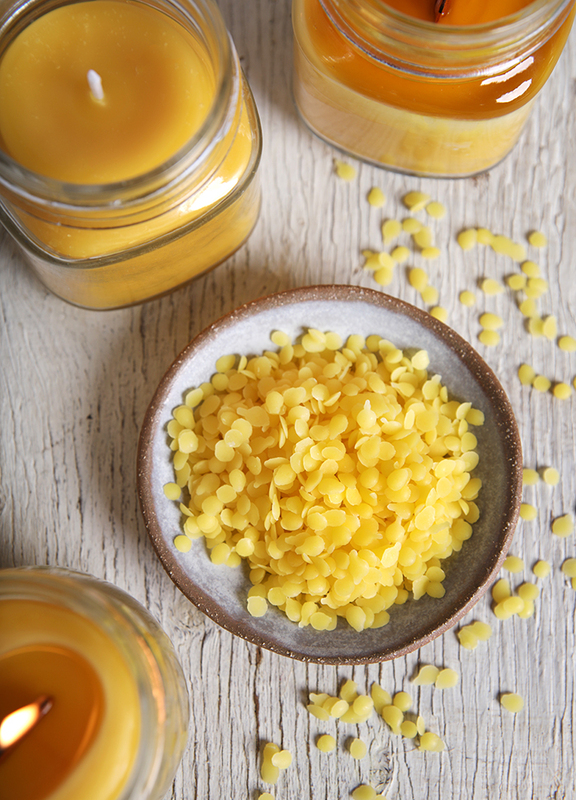 Weigh how much beeswax you need to fill your containers. To estimate how much wax you need, put your containers on a scale and fill them with water. 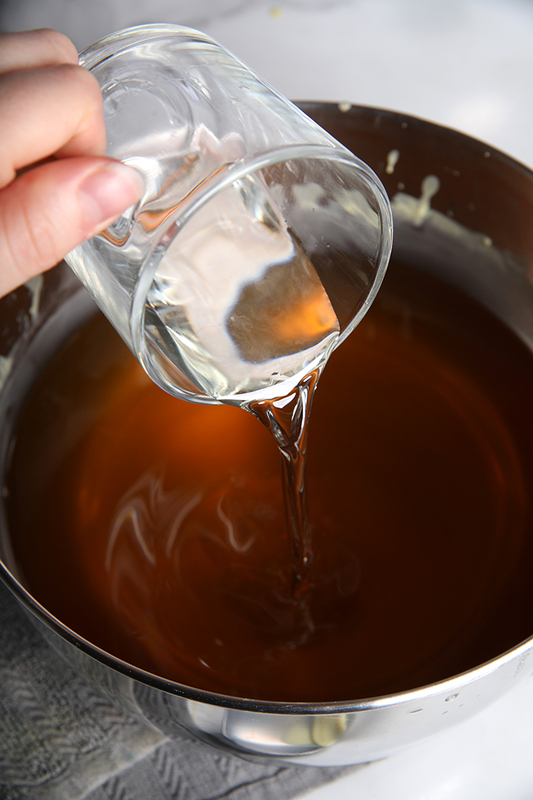 Add up the total weight of the water – that will give you a rough estimate of how much wax to melt. Melt the wax slowly. Don’t allow it to exceed about 170° F, or it can start to lose its aroma. 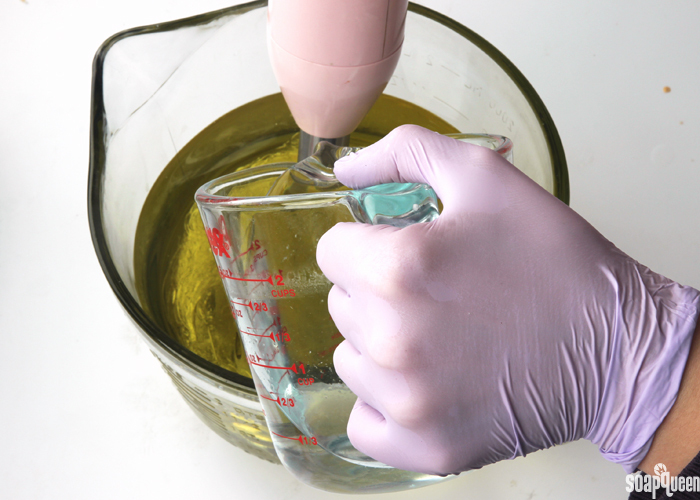 Once the wax is completely melted, turn off the double boiler and remove the smaller container of wax. Add the Pure Honey Fragrance Oil and stir in thoroughly. NOTE: Pure Honey Fragrance Oil has a flashpoint of 200° F+. 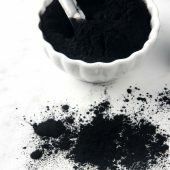 In general, it’s recommended that fragrance is poured into wax that has cooled below the flashpoint of the fragrance oil. We poured in the fragrance when the wax was around 150° F.
Carefully pour the wax into each container. 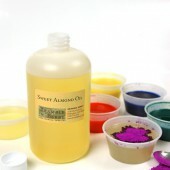 We transferred it to an Easy Pour Mixing and Measuring Container to help. 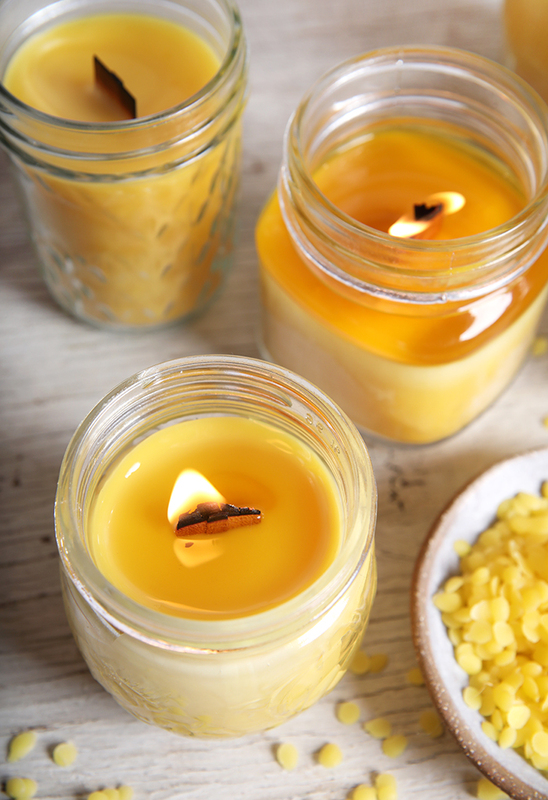 TIP: Pouring the wax into the container with the wick already placed in the candle helps ensure you don’t pour too much and cover the top of the wick. Once the wax is poured, the wick can be moved and centered. 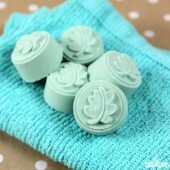 Allow the candles to fully cool and harden. If there are a few air bubbles or imperfections on the top of your candle, use a heat gun to carefully melt the top layer and allow it to cool again. NOTE: We found the wood wicks eventually begin to burn slightly with a lot of high heat from the gun. Allow the candles to fully cool and harden. Light the wick and enjoy! 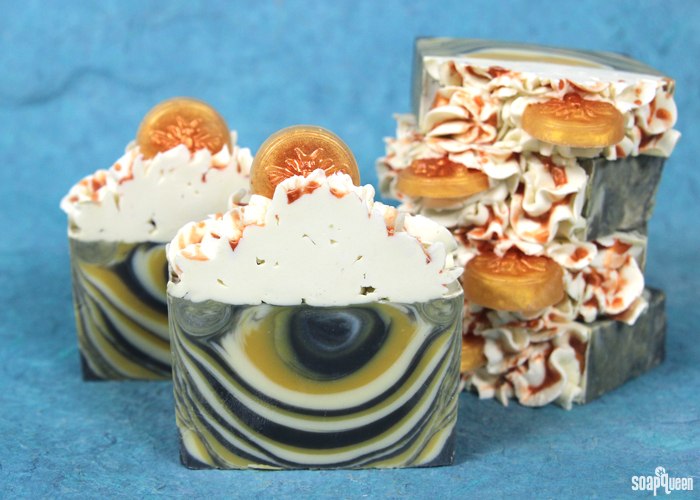 A few months ago, I created these cute Honeycomb Melt and Pour Soaps. 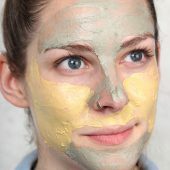 I loved them so much, that I decided to make them into a Soap Queen TV tutorial! 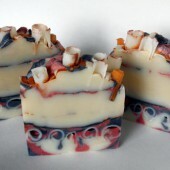 I changed the colors slightly, but stuck with Pure Honey Fragrance Oil. 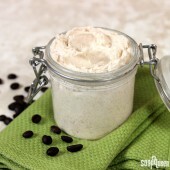 It smells absolutely amazing and is such a huge crowd pleaser. 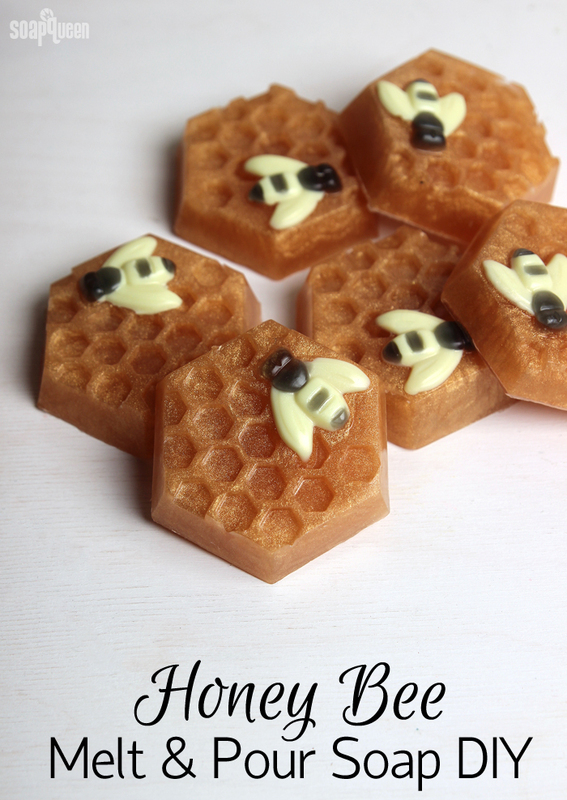 These honey bee soaps are made in the 6 Cavity Honeycomb Silicone Mold, which makes unmolding easy. 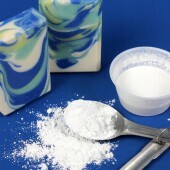 It’s also easy to clean and works well for a variety of projects including cold process soap and lotion bars. 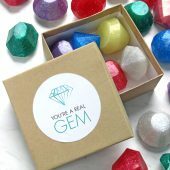 There are also free downloadable labels for this project to package and give as gifts! 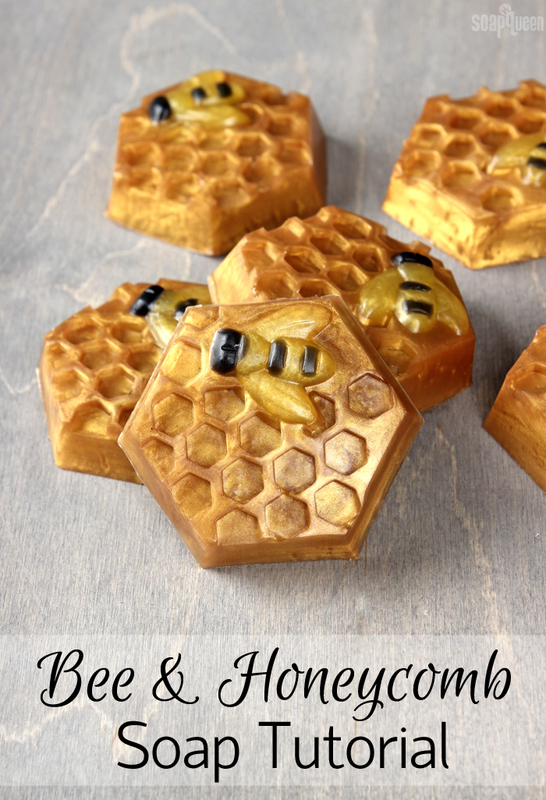 This honey bee project is suitable for both beginner and advanced crafters. It does require some detail work, which can take a little patience. To help with filling in the bee details, I recommend using an Injector Tool and having a Clean Up Tool nearby to fix any mistakes. As with any melt and pour project, 99% isopropyl alcohol in a spray bottle and an infrared thermometer are key! 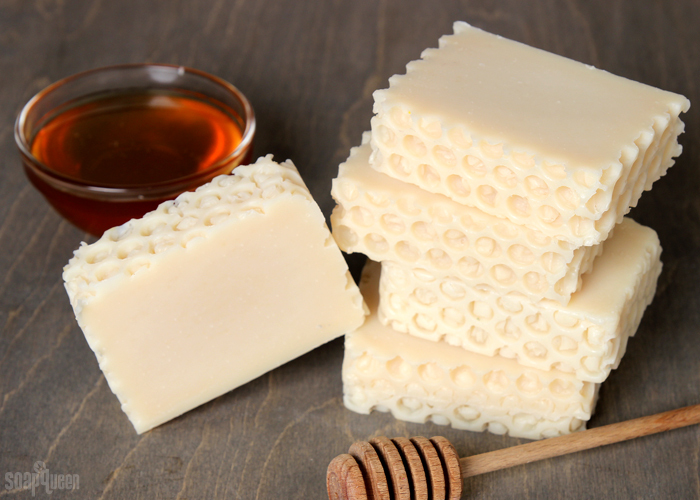 Honey is a popular additive in cold process soap. 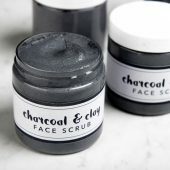 It’s a wonderful humectant and is great from a marketing standpoint. 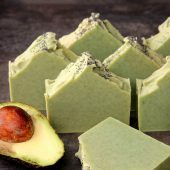 But, adding honey to soap does pose some challenges. 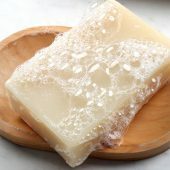 The sugar from the honey can cause the soap to overheat. The key is keeping soaping temperatures cool and not using too much honey. 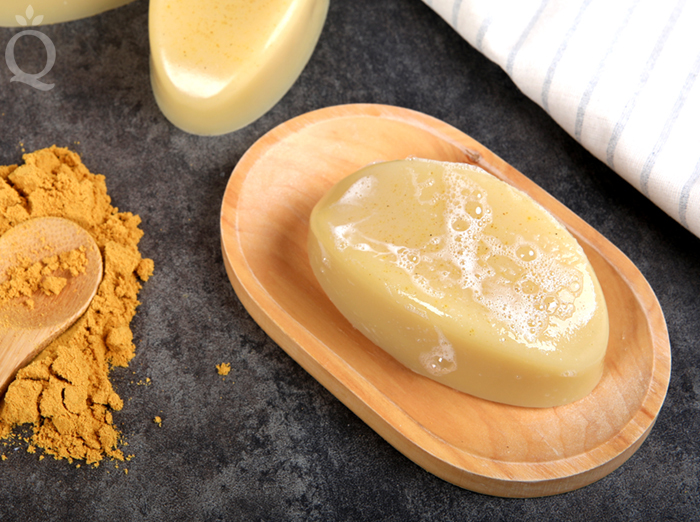 I recommend a usage rate of 1 teaspoon honey per pound of soap. 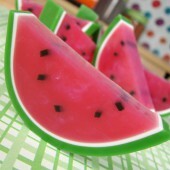 I also recommend placing the soap in the fridge or freezer after pouring it into the mold to prevent overheating. 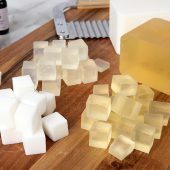 If you’d like to learn more about adding honey to your cold process soap, this post has more tips. 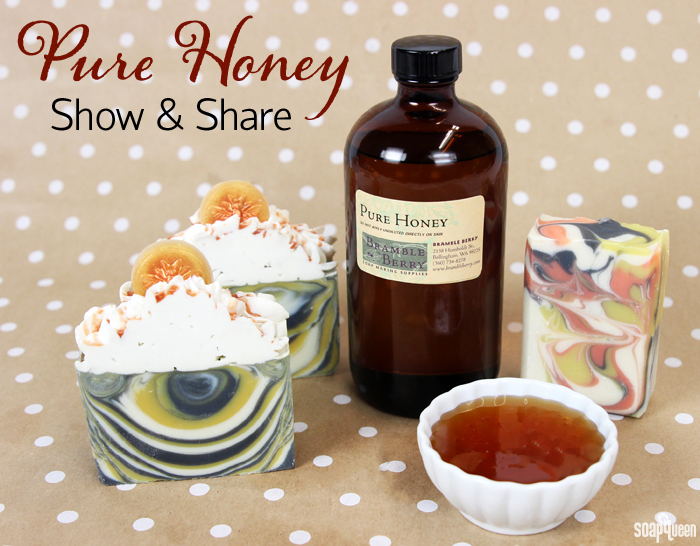 This Pure Honey Cold Process Soap contains a full tablespoon of local honey. 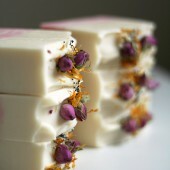 It’s scented with Pure Honey Fragrance Oil, which gives the bars a wonderfully sweet scent. 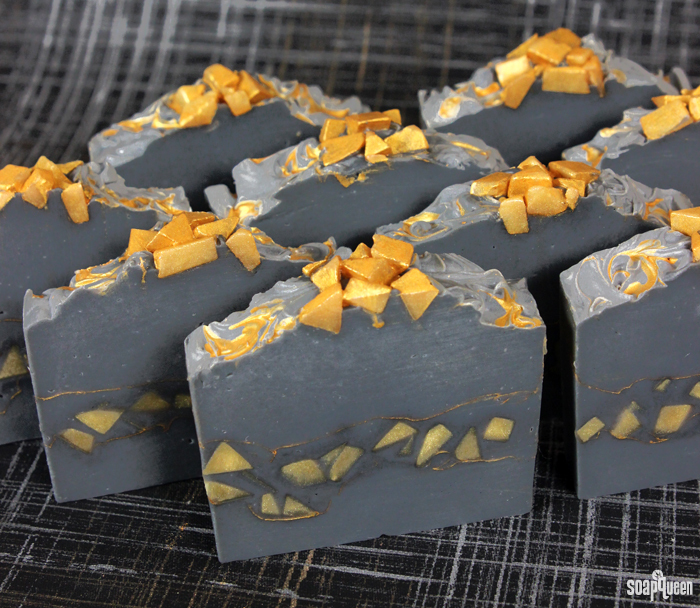 I kept the design of these bars simple to allow the honeycomb texture on the outside to shine. The secret to the honeycomb look is lining the mold with bubble wrap. Once the bubble wrap is peeled away, it reveals the realistic honeycomb pattern. 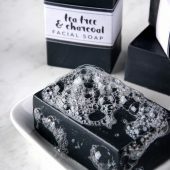 As a bonus, we designed free downloadable labels for this soap! Find them here. Over the past few years, I have spent more and more time in my garden. As my garden has grown, so has my appreciation for honey bees. 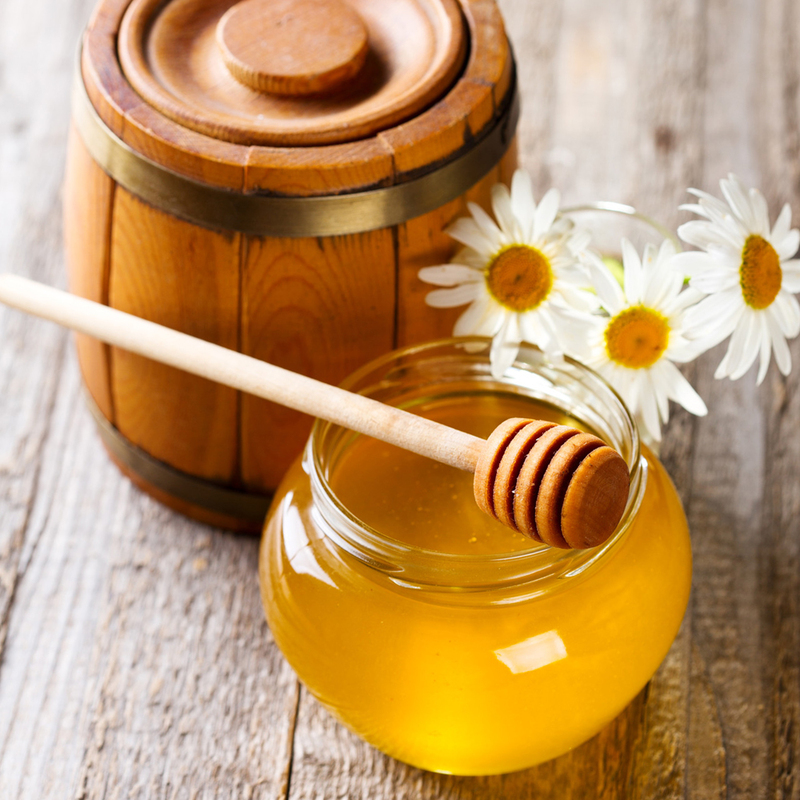 Honey bees pollinate a wide variety of agricultural crops, making them a critical part of our ecosystem. The decline of the honey bee population, known as Colony Collapse Disorder, poses a serious threat to our environment and economy. 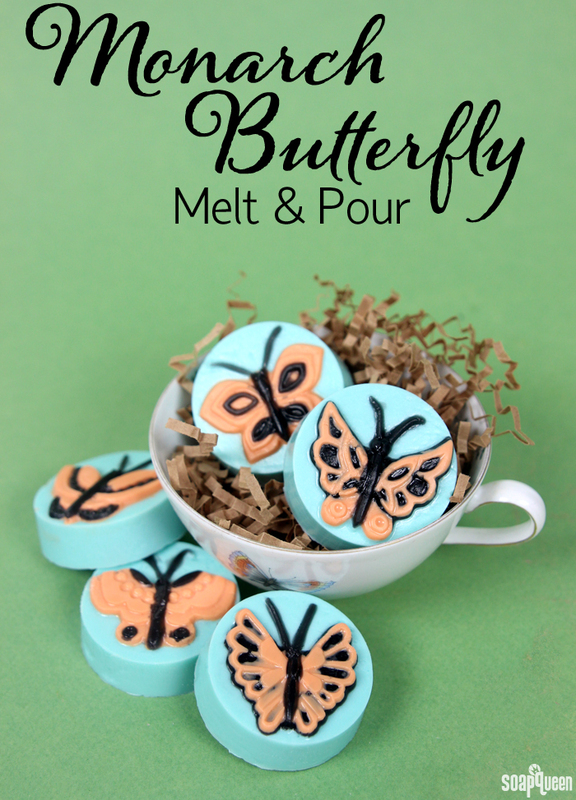 These Honeycomb Melt & Pour Soaps were inspired by the hard-working insects. 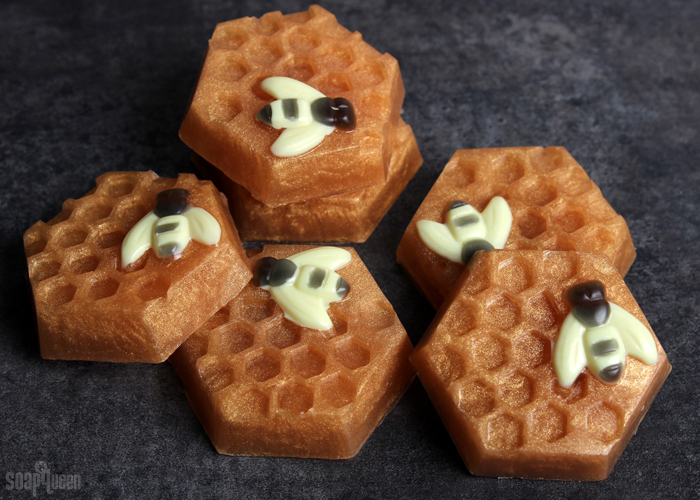 They’re made with Honey Melt and Pour Soap Base, which contains real honey. 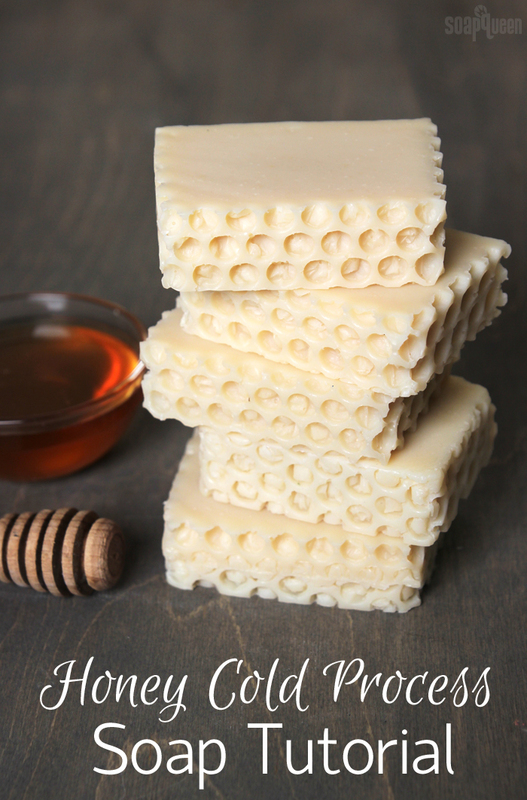 Pure Honey Fragrance Oil gives these bars a sweet and delectable scent. To mimic the color of honeycomb, I used a combination of King’s Gold Mica and just a touch of Cappuccino Mica. 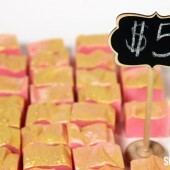 The result is a vibrant and rich gold color. 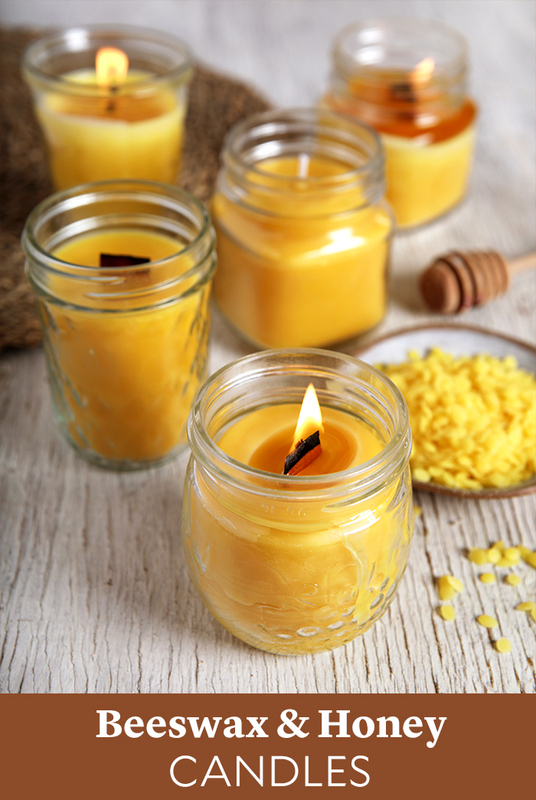 Beeswax is an amazing option for handmade candles. 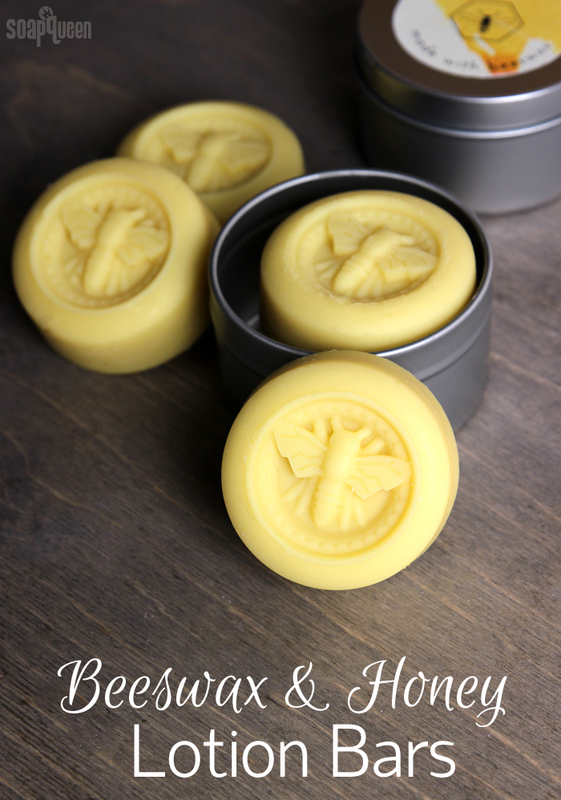 Not only is it natural, but beeswax smells amazing. 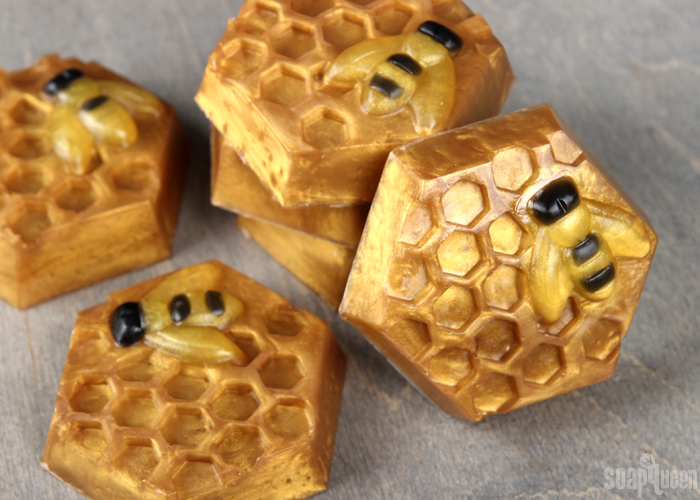 These Pure Honey Beeswax Candles are made with the sweet and delicious Pure Honey Fragrance Oil. 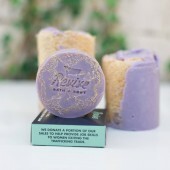 The combination of the fragrance and yellow beeswax creates an incredibly warm and comforting scent. 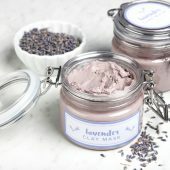 We test a lot of candles here at the Bramble Berry office, and these candles wowed everyone! 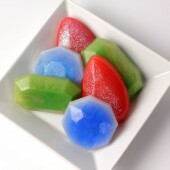 Just make sure to put them on a plate or other surface to catch the melting wax. 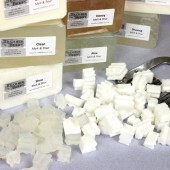 The rustic shape of these candles was created by recycling used milk cartons. 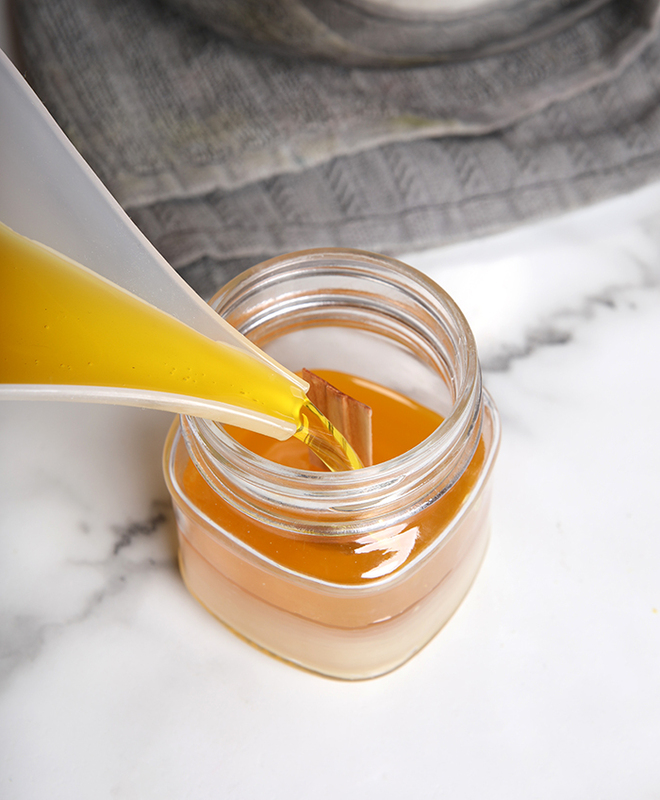 Depending on the size of your container, you may need to use a different amount of wax to fill it. 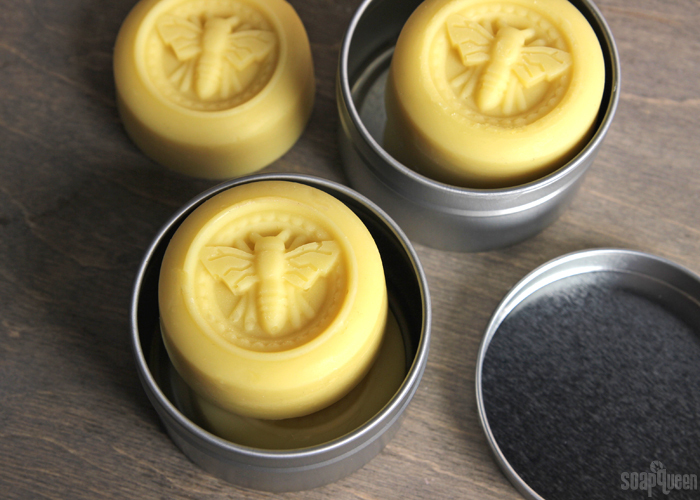 Just make sure the container is watertight and won’t melt from the high temperatures of the melted beeswax. If you’re looking for more ways to use recycled containers for your projects, check out the How to Recycle Your Recyclables post for more ideas. 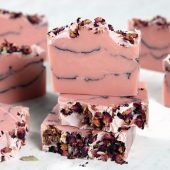 Bramble Berry includes a surprise free fragrance sample with every order. During the month of May, each Bramble Berry order included a sample of our new favorite fragrance oil, Pure Honey. The moment we started testing Pure Honey Fragrance Oil, we knew it was a winner! 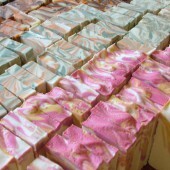 Not only does it smell warm, sweet and delicious, it also behaves well in cold process soap and does not discolor. 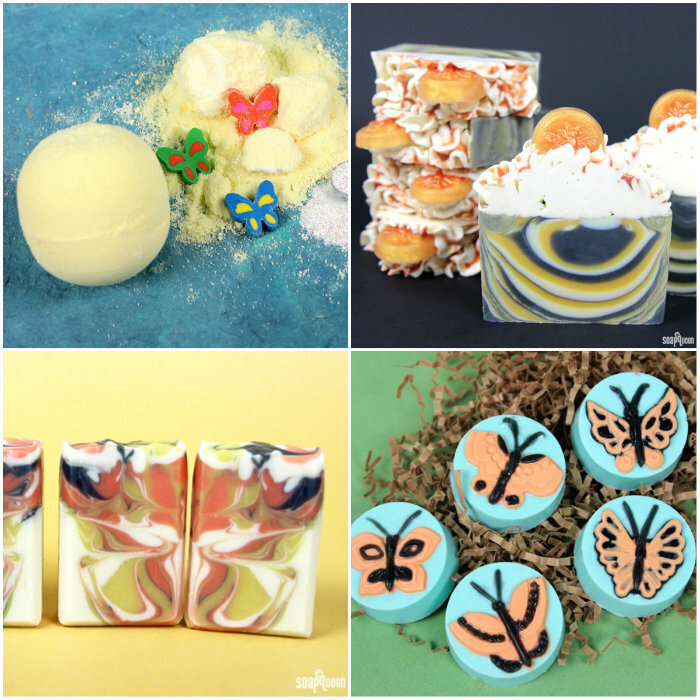 We love the fragrance so much that it inspired an entire collection of tutorials. 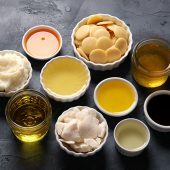 Click here for Pure Honey Fragrance Oil blend ideas, in addition to an eco-friendly candle tutorial. 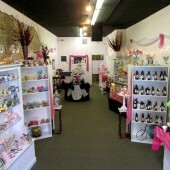 Fragrance oils are made up of various scents, referred to as top, middle and bottom notes. These notes come together to create a complete and complex fragrance. 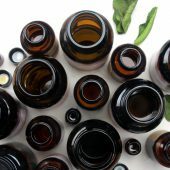 Designed to smell fantastic alone, fragrance oils can also be blended together to create your own custom blend. 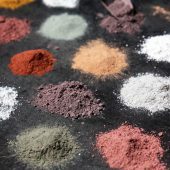 Blending fragrance oils together is a lot of fun, but it can sometimes take a little trial and error to get the blends “just right.” If you’d like to learn more about fragrance blending, click here to read my tips and tricks. 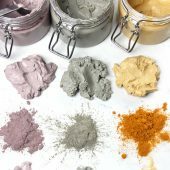 Every month, our team comes up with more than 15 scent blends for each fragrance of the month sample (did you know you get a free .5 oz. fragrance oil sample with each Bramble Berry order?) The team and I chose 4-5 of our favorite blends each month to spotlight. 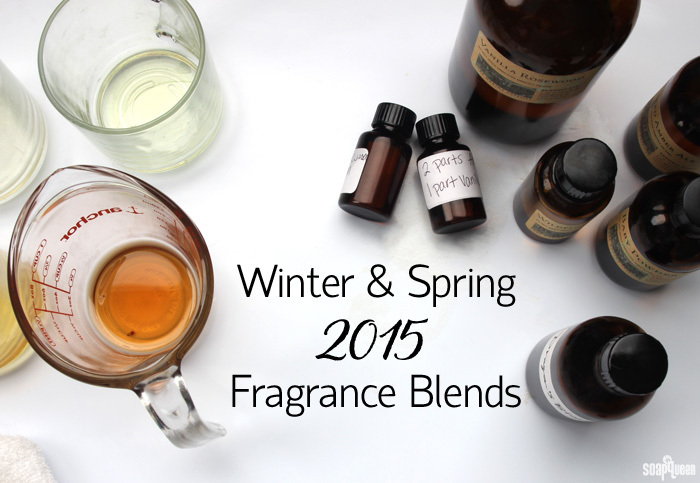 Below are our favorite scent blends for the first six months of 2015. 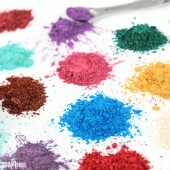 You can always find these blends along with a tutorial on the “Sample of the Month” page, which is located on the right hand side of the Bramble Berry homepage. One of the sure signs of spring is honey bees floating from flower to flower. 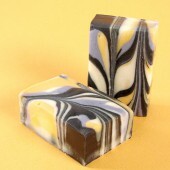 This Honey Bee Funnel Pour Cold Process Soap is inspired by the yellow and black stripes on a bee. 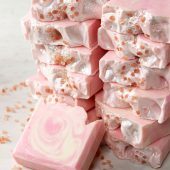 The soap is then topped with fluffy cold process frosting, a Honey Melt and Pour Base bee embed and a golden melt and pour honey drizzle. 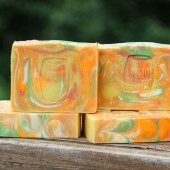 It is scented with Pure Honey Fragrance Oil. 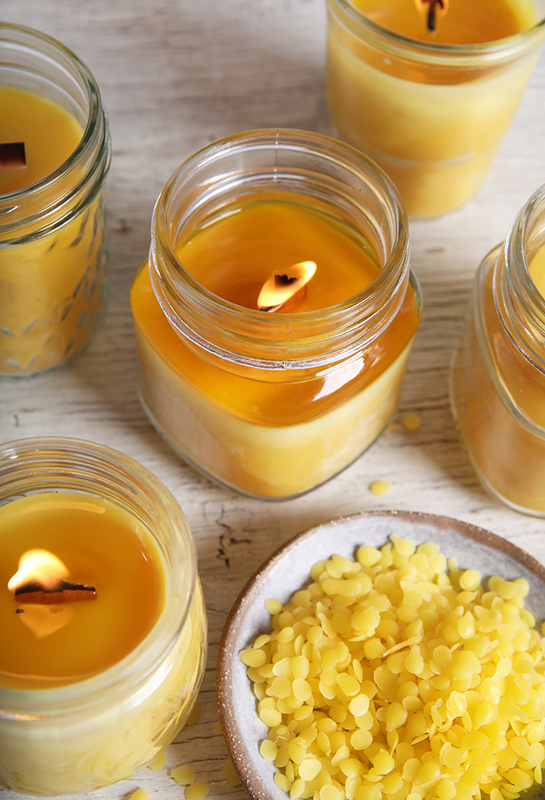 The sweet and warm honey scent pairs perfectly with the bee-inspired colors. 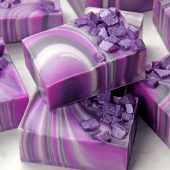 This soap is made using the funnel pour technique. 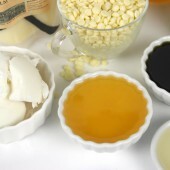 Yellow, white and black soap is poured through a funnel, creating the unique layers. 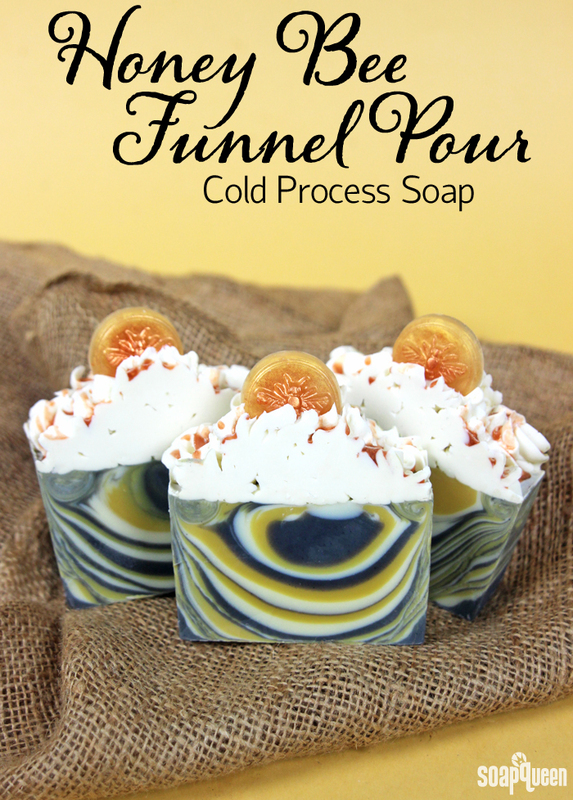 Check out this Funnel Pour Soap video on Soap Queen TV to see how it’s done. 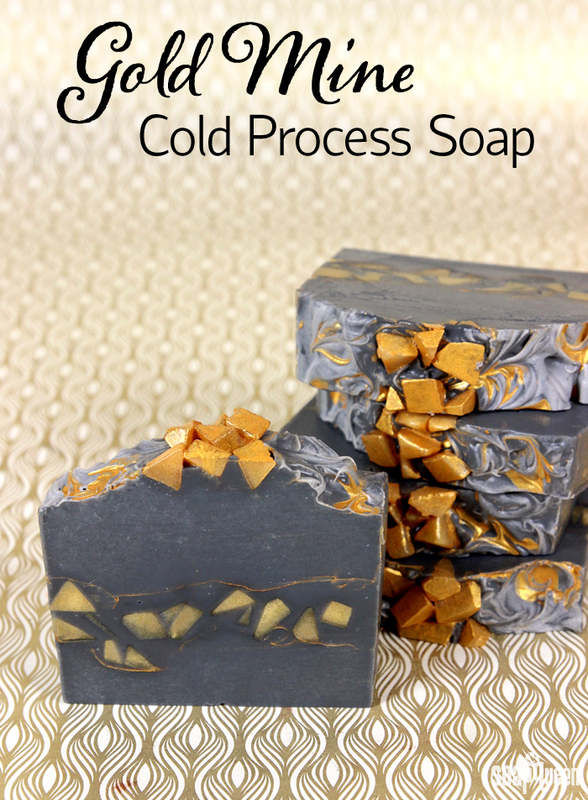 If you’ve never made cold process frosting before, check out the Whipped Cold Process Soap Frosting episode on Soap Queen TV. 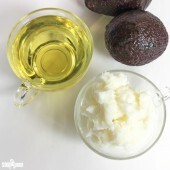 The key to soap frosting is to allow the lye water and oils to completely cool to around 60-70 °F. 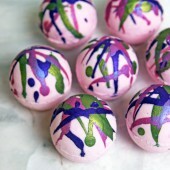 It’s so fun dropping a bath bomb into the tub and watching it fizz away, especially for kids. 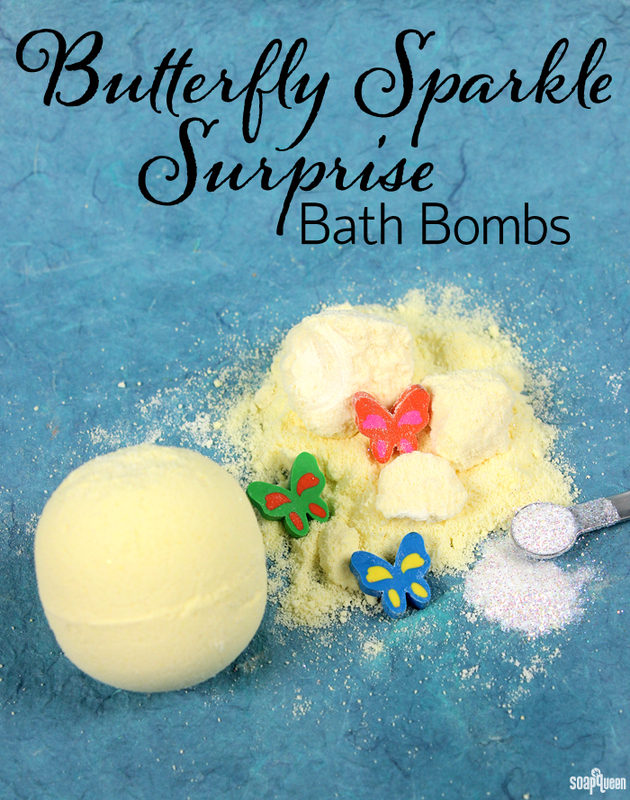 This Butterfly Sparkle Surprise Bath Bomb is even more fun because it has a secret stash of Iridescent Glitter and a butterfly eraser inside. Partway through the fizzing, the bath tub will be full of sparkle and a fun toy. Imagine your child’s delight and surprise! 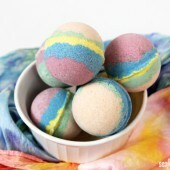 Along with the hidden goodies, the bath bombs contain chia seed oil to moisturize your skin. They have a bright yellow hue from Daisy Yellow LaBomb Colorant. A combination of fresh Crisp Apple Rose Fragrance Oil and sweet Pure Honey Fragrance Oil will make the bath water smell like springtime. 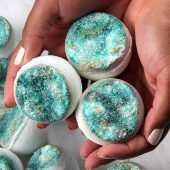 See these bath fizzies in action in the video below! With gorgeous orange, yellow and black wings, the monarch may be the most recognizable type of butterfly. It lives in warm climates such as Mexico, California and along the Gulf Coast, and is known for its annual migration from Eastern North America to Mexico. 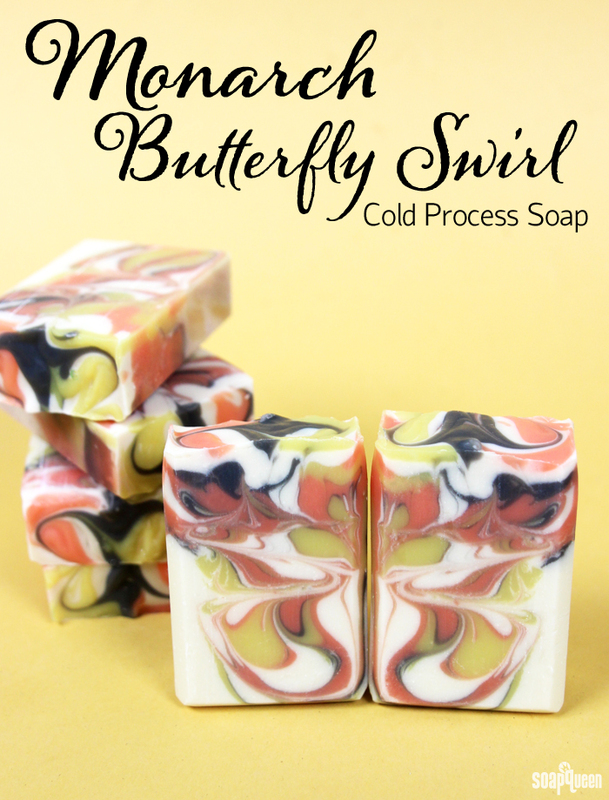 This Monarch Butterfly Swirl Cold Process was inspired by these gorgeous insects. 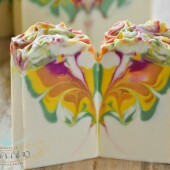 Layers of monarch-colored soap are poured into the mold and swirled with a hanger swirl tool to create the effect of butterfly wings. 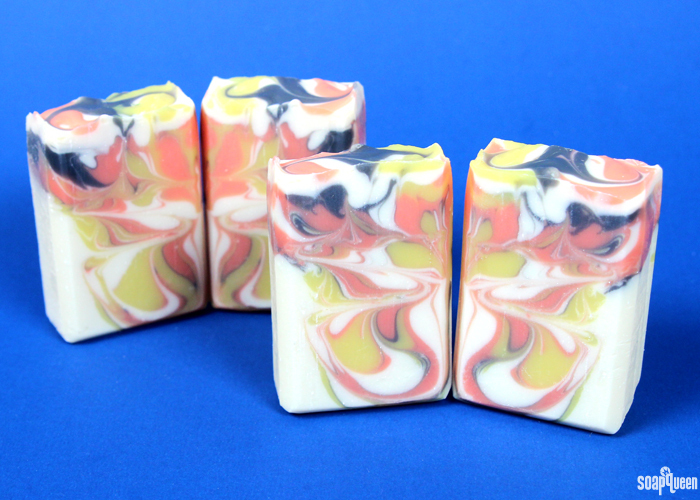 The fun part about the butterfly swirl is that every bar looks unique. When the bars are placed side by side, the butterfly image really pops. 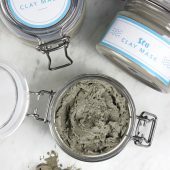 This technique was created by Zahida of Handmade in Florida, click here to read our interview with her. With spring comes warmer temperatures, blooming flowers and ripe produce. The influx of flowers brings forth honeybees and butterflies. 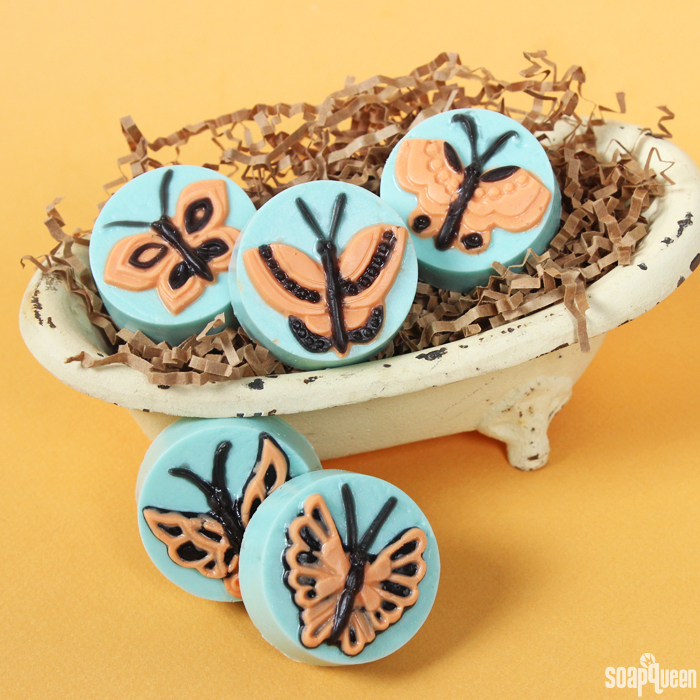 These Monarch Butterfly Melt and Pour soaps were inspired by the classic monarch butterfly colors, orange and black. 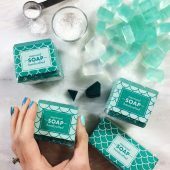 These guest-sized soap are great for visitors or traveling. 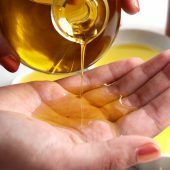 The scent of Pure Honey Fragrance Oil is luxuriously warm and sweet. 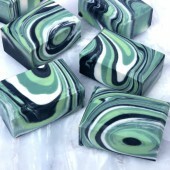 Due to the small details in this soap, this project is for advanced melt and pour soap makers. The injector tool works great for filling in the small details, but be sure to have a cup of extra hot water nearby to unclog the tool after each color. Temperature is also important in this project. 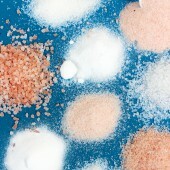 Because the details are so small, they can melt easily if layers on top are poured hotter than 125 °F. Patience is key!